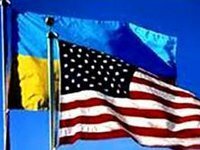 Washington expects Kyiv soon to fulfill its promises and launch the work of the High Anti-Corruption Court (HACC), U.S. Assistant Secretary of State Kirsten Madison has said. She said at a briefing in Kyiv on Friday after a meeting with Director of the National Anti-Corruption Bureau of Ukraine (NABU) Artem Sytnyk that the adoption of legislation on the creation of the High Anti-Corruption Court was an important step. The next step is the creation of a full-fledged, functional, independent, effective court in Ukraine, she added. The U.S. expects Ukraine soon to take certain steps in this area, as was promised to the U.S. government, Madison said.